I wrote this four years back to pitch it as a travel article to a newspaper but never got around to it. Enjoy! Pre-child Europe jaunt. 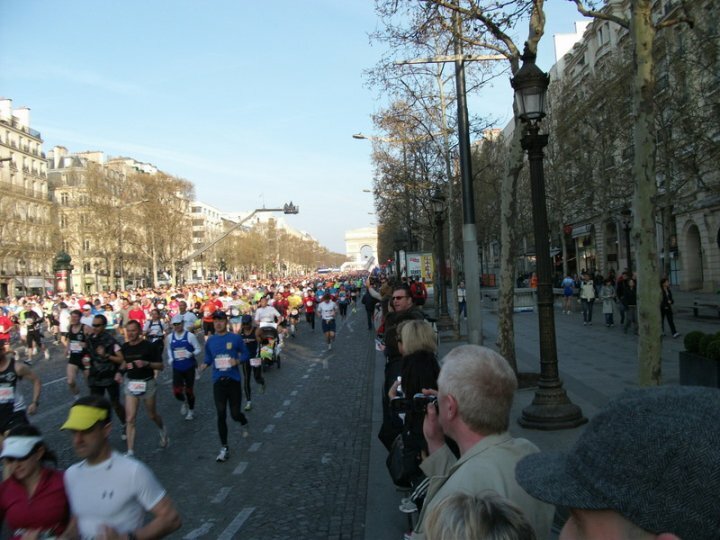 People travel to foreign big city marathons for the buzz, the energy, the new experiences. 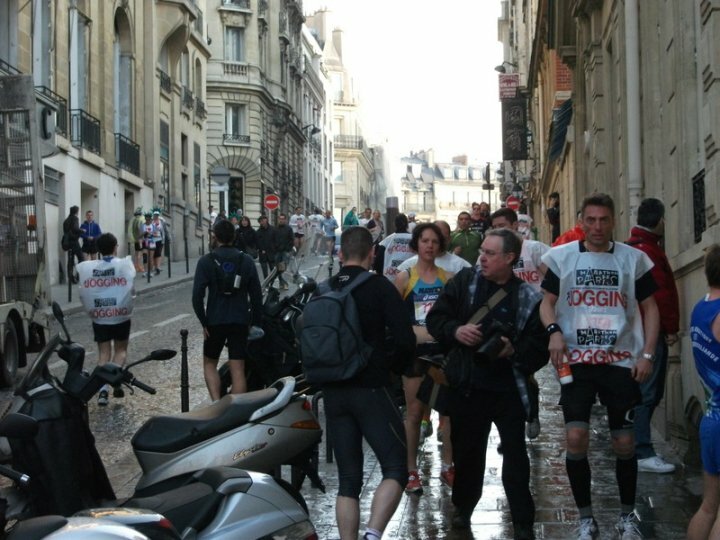 The awe-inspiring amount of public urination before the 2010 Paris Marathon presumably falls into the latter category. Truly, I have never before seen so many men peeing. With these ritualistic tribes lining the streets, any polite aversion of eyes is pleasantly irrelevant. 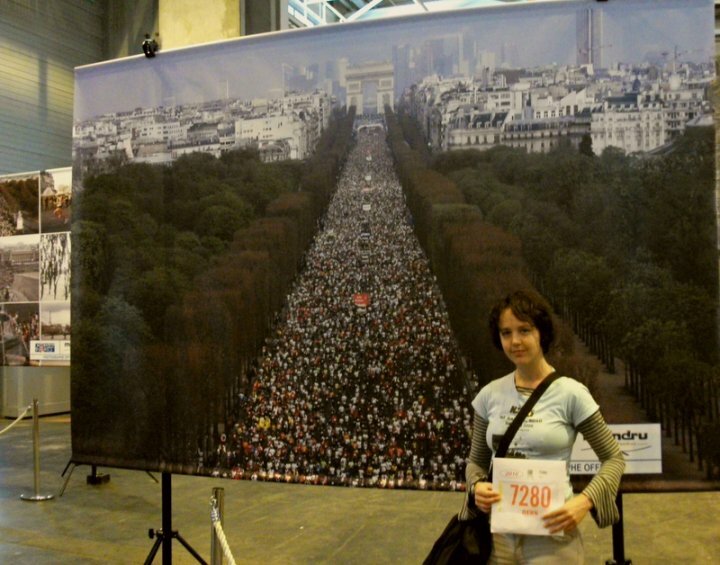 Five months ago, entering Paris Marathon to coincide with a planned Europe trip was an excellent idea. Since then, ultramarathon fatigue and recent injury (thwarting all training) suggest otherwise. However, we are here at ‘le departe’, with Nurofen, adrenaline and joie de vivre. Don’t try this at home. With 1 portaloo per 3000 runners, I’m glad today is not a nervous day. The gun fires, probably – I can’t move or hear. A roar of glee sweeps back towards the Arc du Triomphe and the 40,000 strong crowd surges down Champs Elysees, euphoric (while maintaining impeccable pace judgement, of course). The early kilometres are a combination of marvelling at the surroundings and very careful placement of feet amid the mob. Someone falls. The first drink station is on one side only, causing a dangerous swerve to the side. 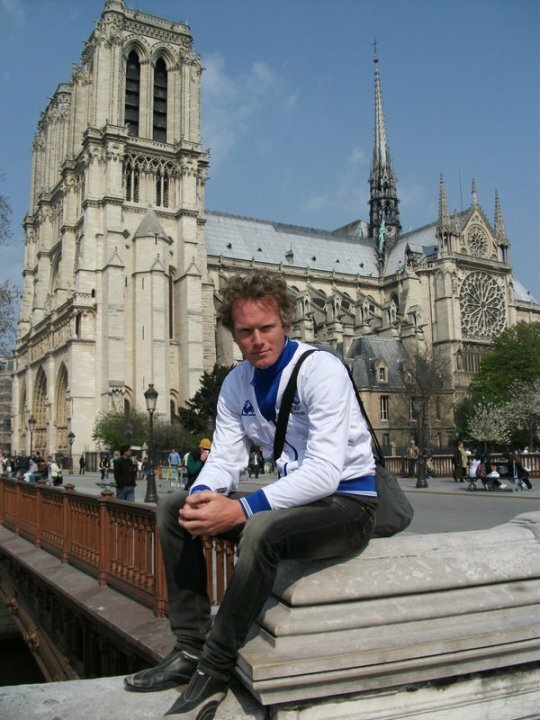 But we trot along, buoyed by the constant support and the stunning beauty that is Paris. 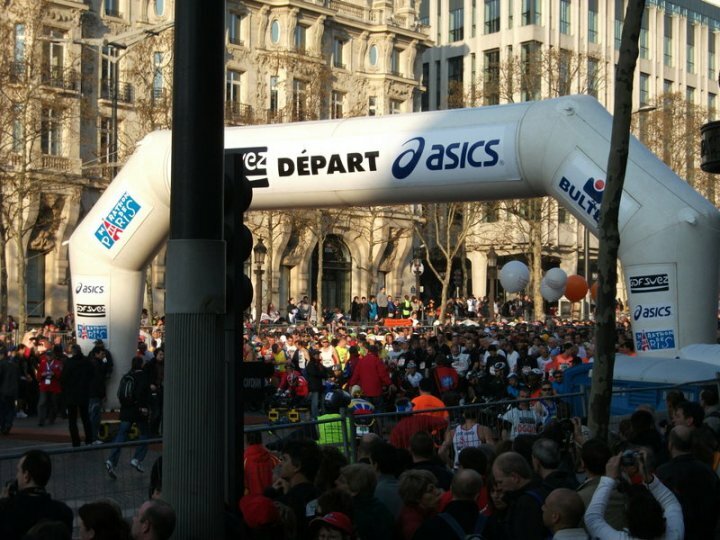 More than 80% of Paris Marathon entrants this year are male. With us femmes being generally sparse, the novelty prompts enthused cheering throughout. ‘Allez la femme!’ I hear repeatedly. Go girl! Encore la fille! At 11k, we hit the lovely Bois du Vincennes, and my injured leg throws in a protest. Merde. Limping with 31k to go is a bad sign. But after a kilometre or so of grimacing and muttering, it eases. Whether errant Nurofen or guardian running angel, I’m grateful. A splendid variety of entertainment, or ‘animations’, lines the route, if runners need distraction. Running plus animation – two of my favourite things! We have ‘Chariots of Fire’ by bagpipe. Bizarre cheerleaders. Pink Floyd courtesy of a young cover band, with the Chateau du Vincennes in the background, and this juxtaposition is strangely poignant. But then many things have me moved, particularly the man running resolutely carrying a big Polish flag and the orange-clad teams pulling and pushing disabled runners in carts. Better chocolate absorption? I’m in! Running into the Bastille at the most popular support point, we hit a wall of sound. It’s tremendous. Above us is a winged statue with one leg outstretched. I wonder if it’s Mercury, as beloved of NZ’s own Lorraine Moller, and take heart from the fact. It turns out to be Winged Hope, which is also appropriate. Maybe I can make it after all. The carnage is beginning, though. Grimaces and limps abound, and a river of walkers widens as we pass the Eiffel Tower and stream through tunnels beside the Seine. One of these was where Princess Di died. Next we conquer the rolling hills into Bois de Boulogne. ‘Seulement six kilometres, c’est facile!’ calls a cheery young thing. Easy? Pardon? 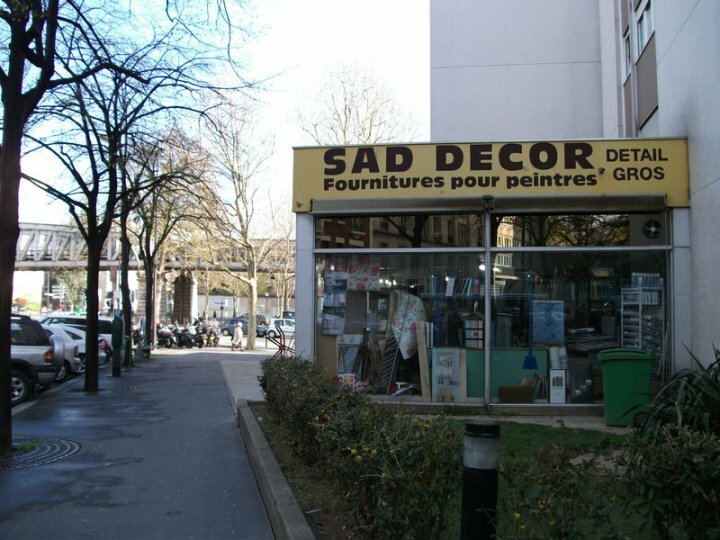 Ce n’est pas facile! Has she tried this? With 5k to go, a drinks table offers red wine and I down one on principle. At the next one, I revert to sports drink, or as it turns out, champagne. C’est la vie! Upon rounding a corner a man in elaborate national dress stands in the middle of the road. He’s slightly in the way and…holding a camel. Of course. Perhaps the wine is kicking in. ‘Bravo la femme, allez, allez!’ rings out one last time from a shriek behind me, and I dutifully sprint to l’arrive, to be enveloped by great relief. In an hour, I will be hobbling painfully across the road among screaming vehicles, and cursing the prolific and steep metro stairs. I then learn that pedestrians are supposed to hobble under L’Arc du Triomphe, rather than dice with death. Tomorrow, an opportunistic cold dives gleefully on my fatigued immune system and I discover the limping and snuffling combination is seriously un-chic. In two days, we will miss our flight back to Heathrow, just pre-empting the expulsion of errant volcanic ash which would have made a much better excuse than vaguely miscalculating the distance to Charles de Gaulle because we were busy stuffing our faces in a boulangerie. But for now, I appreciate the emotion of the man crying beside me as we stop, and breathe. 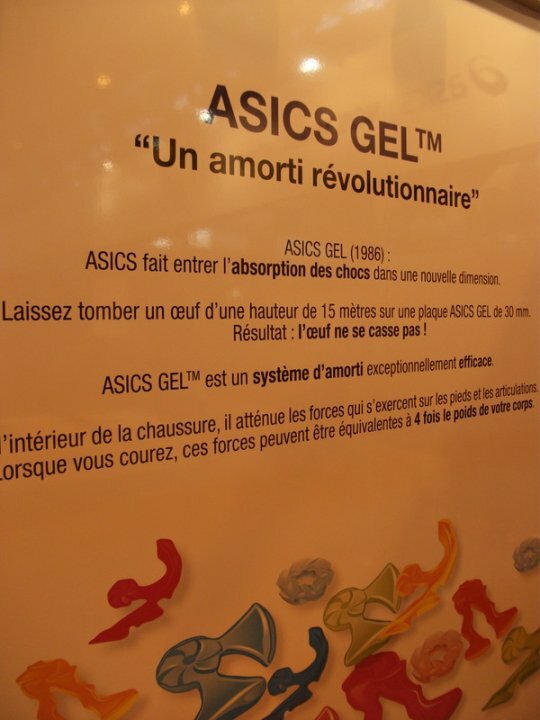 We have run the Paris Marathon and life is good.